Foldable and adorable sweet-sounding wind chime mobile. Let's develop in style! 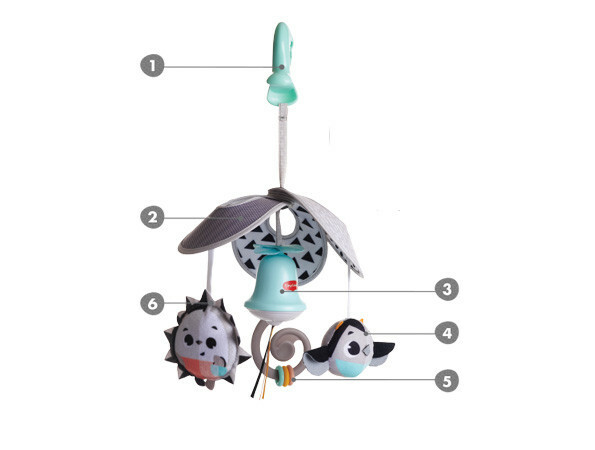 SUPPORTS SENSES & FINE MOTOR SKILLS - 4 activities, including bell-shaped wind chime and owl rattle, stimulate babies senses and fine motor skills. COMPACT & LIGHT folding structure means mobile can be easily folded to be carried anywhere - the perfect take along toy. DEVELOPMENTAL DESIGN - Made of high quality fabrics and featuring contrasting colors and adorable geometric designs that are perfectly suited to young babies. LEARN MORE FROM OUR EXPERTS! Our products are carefully conceived to support babies' growth and development. 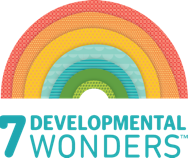 Take a look at our Age Tips tab to learn how you can use this product to encourage your baby's development. Part of the black & white Magical Tales™ Collection - development has never looked so stylish! 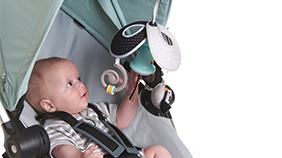 Connect to stroller for on-the-go fun and amusement. Take the mini mobile along with you when going out or travelling to give baby that all-important sense of familiarity and home. 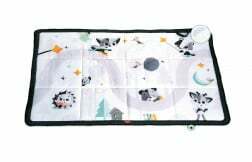 Lightly swing the mobile - the movement, contrasting black & white design and soft chime will encourage baby to look at the mobile and stimulate the development of sight and sound. Baby can practice batting techniques while enjoying the contrasting design of this charming and compact mobile. As hand control improves and becomes more and more intentional, baby learns the fundamentals of cause & effect and can explore the spiral rattle. 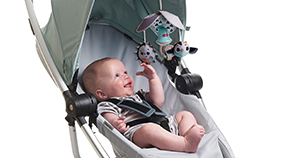 Small enough to take anywhere, the mini mobile stimulates your baby to use fingers and hands in a variety of ways, encouraging the development of fine motor skills. 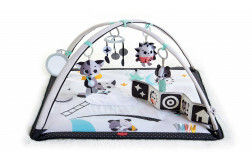 The clearly defined contrasting shapes, black & white design, rattling sounds, sweet chimes and playful textures stimulate baby and support the development of the senses.